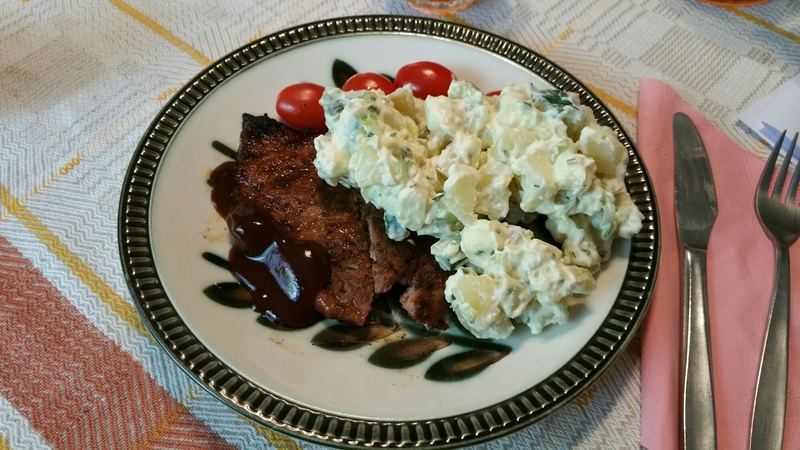 BBQ pork with potato salad and BBQ sauce. 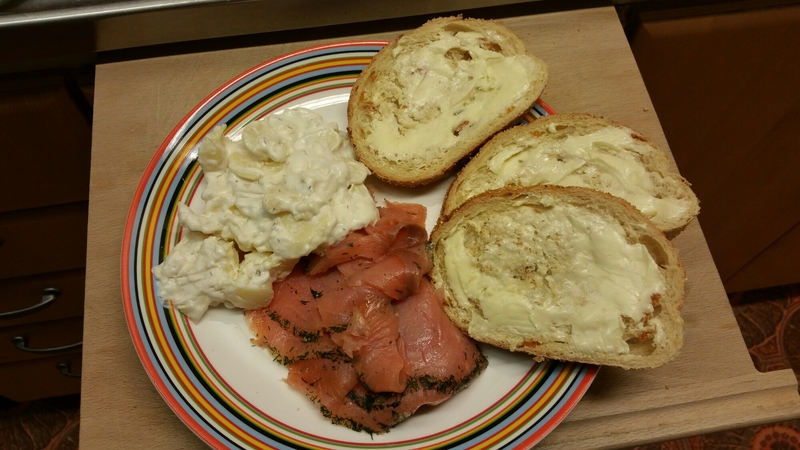 Gravad salmon with potato salad, greens, and hovmästarsås. 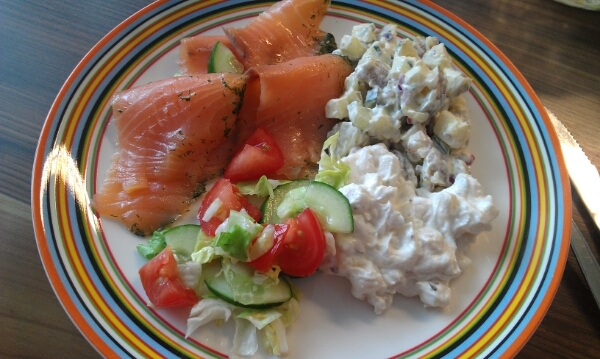 Gravad salmon with two different potato salads, and veggies. 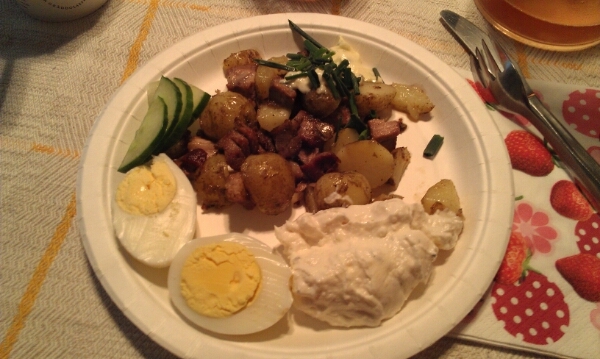 Pork, potatoes, potato salad, eggs, chives, all from yesterday’s food fest. 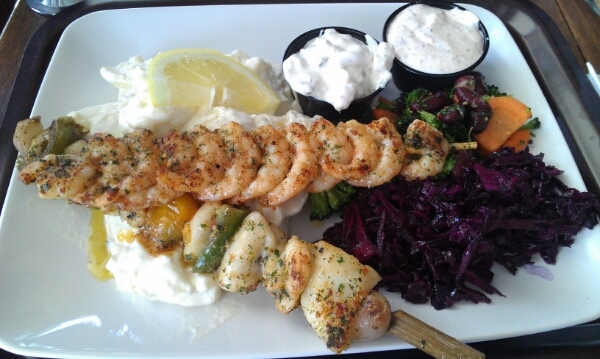 Scampi and fish+squid skewers with potato salad, sauce, skagenröra, and veggies. 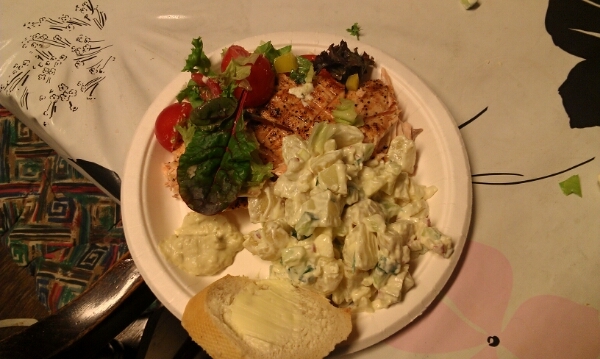 Grilled salmon for the first time, during sun, rain, and hail. Wow. 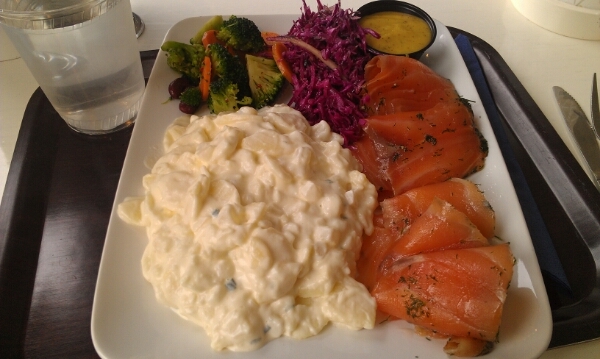 Served with potato salad, bread, green salad, and guacamole.